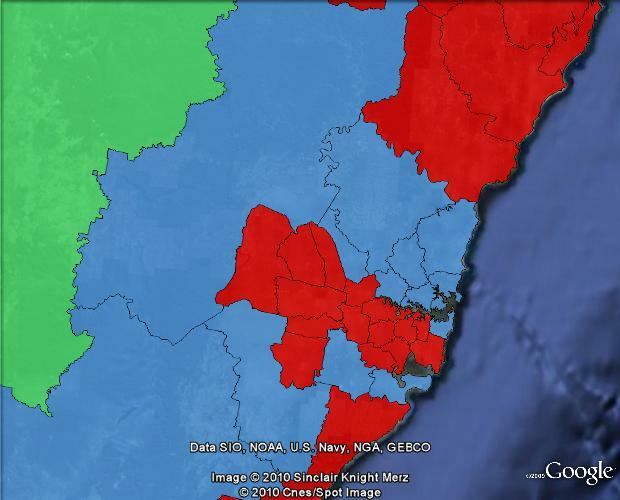 I have gone through all of my Google Earth maps available for download from the blog for 2010 federal election boundaries, and updated the colours to the latest election results, assuming that seats in doubt such as Brisbane and Hasluck do not change hands. 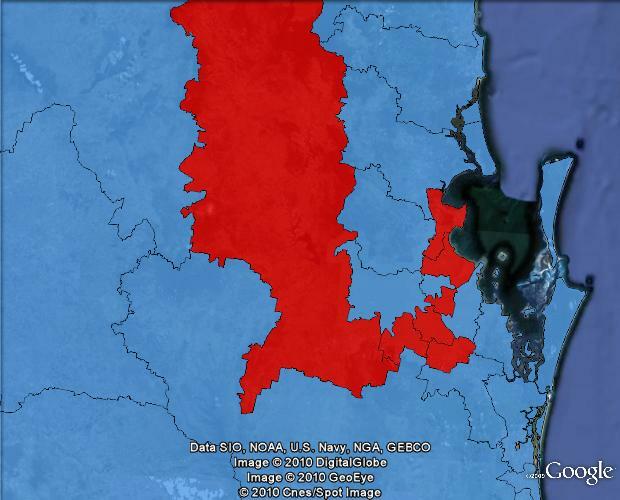 I have also decided to colour all Liberal National seats in Queensland as blue, rather than attempting to distinguish between which party they will be representing in Canberra, due to the fact that the LNP is running under a single banner. 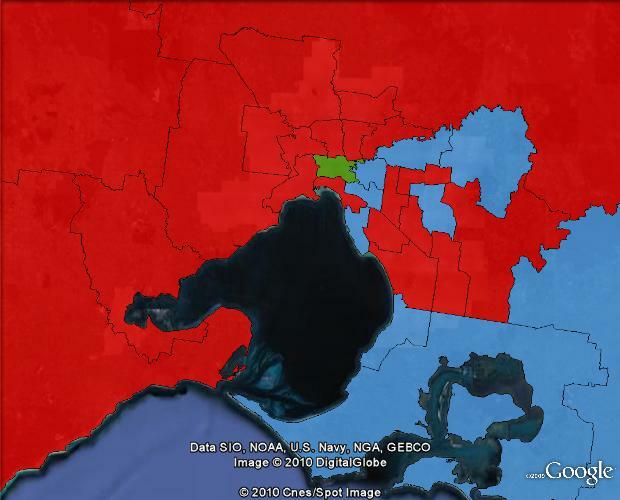 Below I’ve posted the overall maps of seat results in the areas around Sydney, Melbourne and Brisbane. You can download these maps and manipulate them yourself by visiting the Tally Room maps page. Be more accurate to make them all green. No, the LNP is a branch of the federal Liberal Party, so they should be blue as he’s done. Dawson, Flynn, Maranoa, Hinkler and Wide Bay will be Nationals seats. FYI the candidates in Kennedy and Capricornia would also have been Nationals in the unlikely event that they had won their seats.